The world's first Vegan Fashion Week will be debuting in Los Angeles on 1 February, with an opening party at the city's Natural History Museum. 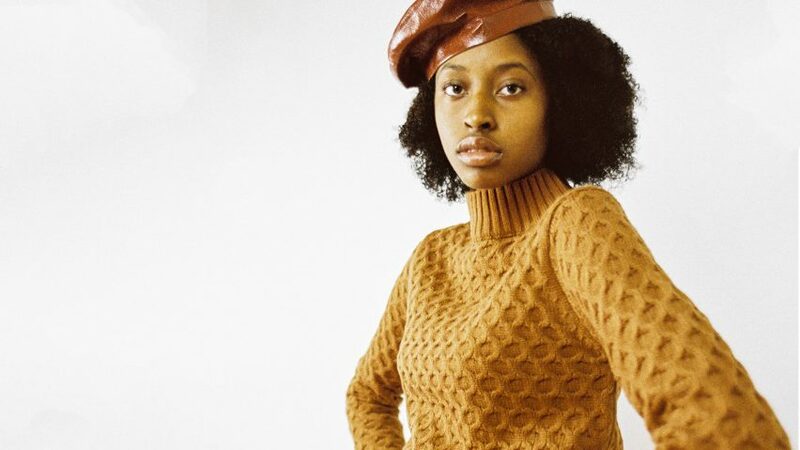 The four-day event will host a series of runway shows, exhibitions, talks and panels touching on animal rights, social justice, technology and intersectionality. According to its organisers, the event – which is supported by animal activist group PETA and non-profit organisation Fashion Revolution – aims to give animal-free high-end designers the opportunity to showcase vegan design on the catwalk. "Our aim is to bring vegan avant-garde fashion to the city, an angle that has been dismissed until now. We want to empower vegan designers and show that cruelty-free is the new luxury and can be easily included in the high-fashion realm," said Vegan Design Week. "Vegan Fashion Week will be a tribute to the animals"
Curated by French stylist Emmanuelle Rienda, the inaugural Vegan Fashion Week will focus on the theme "facing our time" and will explore the environmental challenges of climate change through the lens of art, nature and science. "Vegan Fashion Week will be a tribute to the animals and an ode to the end of animal exploitation in all forms," said Rienda. Event will celebrate "vegan avant-garde fashion"
The event will take place in locations across Los Angeles. The Californian city, which is recognised for its environmentally-friendly ethos, was chosen following its recent ban on the sale of fur. Beginning with an opening party at the Natural History Museum of Los Angeles, the event will host a talk by Nobel Prize-winning climate scientist Robert Lempert, a runway show, and a "vegan capsule" of luxury, cruelty-free fashion. "I want to ignite conversations and debates within the industry by educating, elevating and drawing connections between our most important values; our respect for human life, animal rights, and the environment," explained Rienda. There will also be a two-day fair at the California Market Centre where visitors will be able to browse a selection of animal-free designer pieces and vegan beauty products. Vegan Fashion Week will take place in locations across Los Angeles between 1 and 4 February 2019. An increasing number of designers are opting for cruelty-free fashion. Fashion designer Stella McCartney teamed up with Adidas on a leather-free, vegan edition of its classic Stan Smith shoe, while Gucci has committed to going fur-free. "You don't have to be a vegan to live sustainably"
"Vegan design should be developed by vegan designers"